This diminutive device as good as some speakers twice its size. Is it worthy of your cash? The speakers inside smartphones improve with every new generation of handset. But they all sound like garbage when it comes to playing music without the benefit of headphones. That’s where the Bose Soundlink Micro comes in. This practically pocketable Bluetooth speaker isn’t cheap at $110, but it punches far above its weight class. 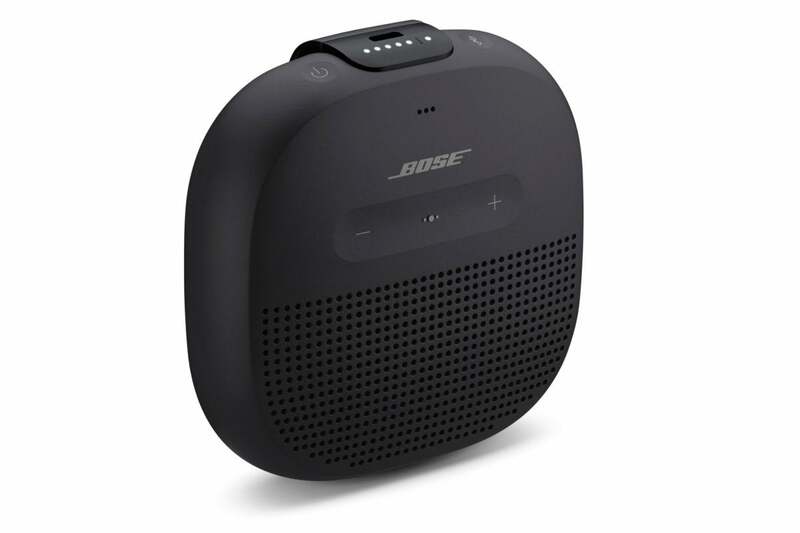 Unlike the other speakers in Bose’s portable lineup, the Soundlink Micro is designed to be carried and routinely abused. With an IPX7 rating, it’ll survive a trip into the shower or a dunk into the pool to a depth of one meter for up to an hour. The X in that spec doesn’t necessarily mean its not protected from dust incursion, just that it’s not rated for such protection. Part of this resilience in the face of the elements is due to the speaker’s silicon rubber exterior, which not only reduces the number of seams and other access points for water to seep into, but also protects its internal components from being banged around, dented, or cracked. The only port you’ll find on the speaker is a micro-USB port for charging its battery. A single charge will yield approximately six hours of audio. 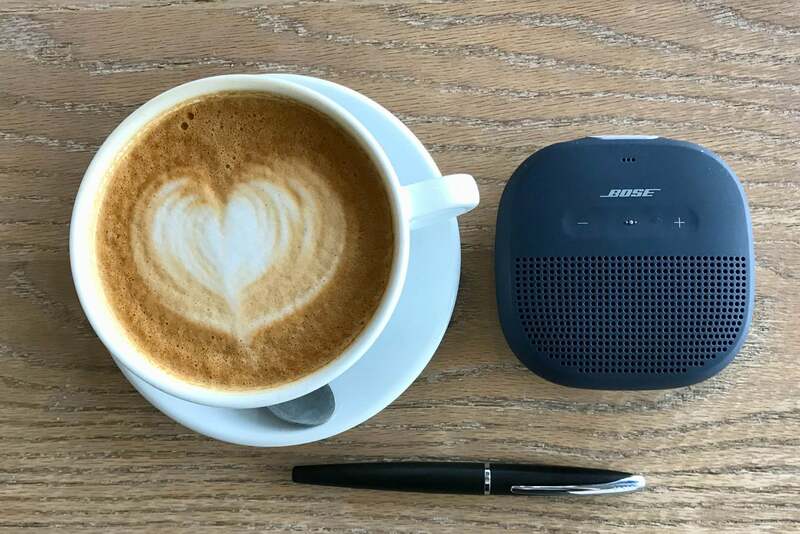 While smaller than some cups of coffee, the Soundlink Micro can still produce a respectable amount of noise. As with other Bose devices, the controls on the Micro are minimal, but adequate. You’ll find power and Bluetooth pairing buttons on the side of the Micro, flanking the speaker’s LED power level indicator. On the top are the volume controls and a button that can be used to play/pause or to move back and forth between the track list on your mobile device or computer. The button also provides access for Android and iOS users to access Google Assistant or Siri through the speaker (not on the speaker itself). The Micro has two speaker grills: One on top to blast out the mid- and high-frequency sound through a single mono transducer and a passive radiator. A second passive radiator fires out of the Micro’s bottom-facing grill to provide a little bit of additional thump. Even if the enclosure could have accommodated a second transducer, it’s too small to allow the separation needed to produce true stereo. Buy two Micros, however, and you can put them in what Bose calls Party Mode to get true stereo. While designed to provide its best sound when set up on a hard surface, like a table or desk, a built-in silicone strap makes it possible to mount it on a set of handlebars, strap it to a backpack, or locate it in any number of other places your life could be improved by the presence of a wee speaker. The Soundlink Micro’s bottom-firing passive radiator adds a significant amount of low frequency thump to whatever you’re listening to. All of this fits into a package that weighs just over 10 ounces and measures roughly 4 x 4 x 1.5 inches. Currently the Soundlink Micro is available in three colors: orange, midnight blue, or black. The Soundlink Micro is stupid easy to connect to smartphones and tablets thanks to the company’s Bose Connect App. When pairing a new device, the speaker will provide you with audio prompts, walking you through the process. Switching connected devices via the app is a cinch, too. Should you want to connect to a device that doesn’t have access to the app, you can still kick it old school and pair using traditional Bluetooth pairing protocols. 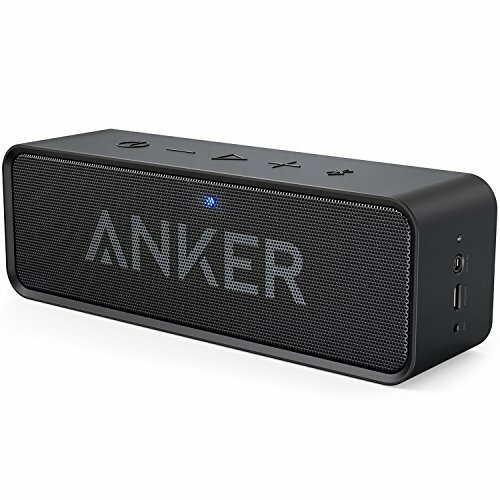 There are a lot of portable Bluetooth speakers out there, at a similar price point, that play louder, deliver stereo sound, and significantly longer runtime than the Soundlink Micro. But on the whole, those competitors are larger, heavier, and not as well made as the Soundlink Micro is. For its size, the sound produced by the Micro is exceptional—provided you’re not an audio purist. 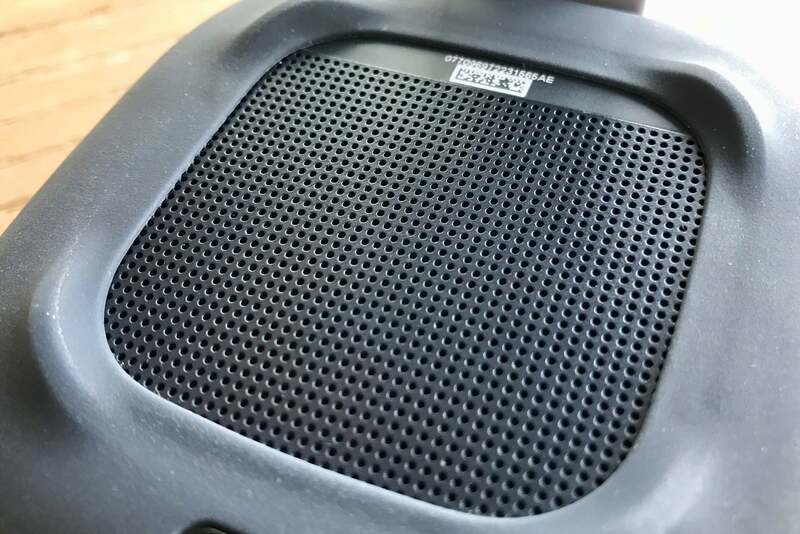 To keep the diminutive speaker’s transducer and passive-radiators from producing distorted audio at high volumes, Bose baked digital signal processing (DSP) into the speaker. Listen to the speaker at around 50 percent of its maximum volume or lower, and you get more bass. As the volume inches higher, you’ll get less thump. Employing the technology in the Micro is largely a success—but there are limits. While streaming music from my iPhone 7 Plus at around 70 percent of the speaker’s maximum volume, the audio sounded crisp. There was a surprising amount of separation, and I could feel the bass vibrating into my forearm through my desk. But at higher levels, despite the speaker’s DSP reducing the amount of low-frequency sound, distortion started to creep in. The Soundlink Micro’s physical controls are few and easy to use. The tuba in Hazmat Modine’s and Huun-Huur-Tu’s “Man Trouble” (from Bahamut) vibrated enough to ruin the track’s smooth blues groove. The same thing happened while I was listening to Colter Wall’s “Sleeping on the Blacktop” (from Imaginary Appalachia). Wall’s deep tremolo sounded present and true at lower levels, but once the speaker’s volume was jacked up all the way, I noted that his singing sounded muddier, with some of the detail of his voice becoming lost. That said, I seldom listen to anything at such high volumes; so the problem, for me at least, isn’t much of an issue. It’s also worth noting that the Soundlink Micro makes a fabulous speakerphone. While engaging in voice calls, it provided excellent audio from the party I was yapping with. The person on the other end of the phone said I was clear and easy to understand as well. The Bose Soundlink Micro is a pricey but capable Bluetooth speaker. 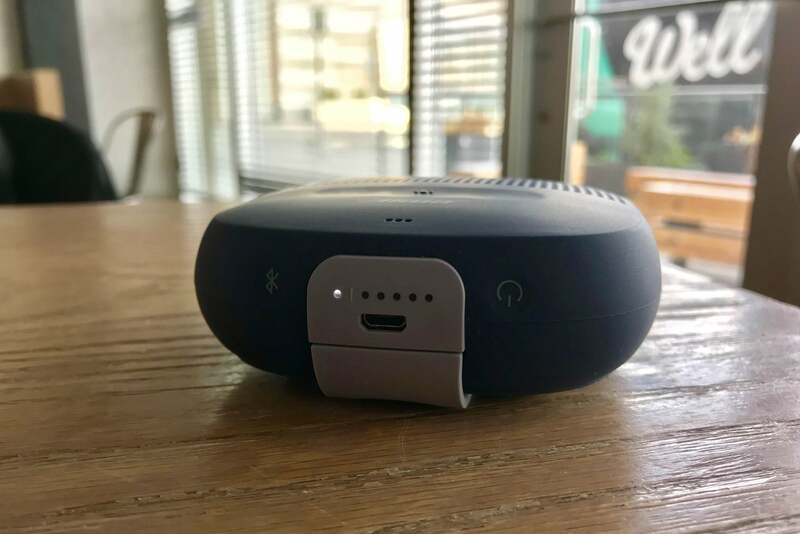 Provided the limitations caused by its diminutive size are understood, it’ll be a rugged, highly-portable audio device that will serve users well.